Tax, Title, and Tags & $385 for dealer administration fee not included in vehicle prices shown and must be paid by the purchaser. While great effort is made to ensure the accuracy of the information on this site, errors do occur so please verify information with a customer service rep. This is easily done by calling us at 603-484-8134 or by visiting us at the dealership. 2017 Honda Civic EX Silver Metallic Certified. Clean CARFAX. 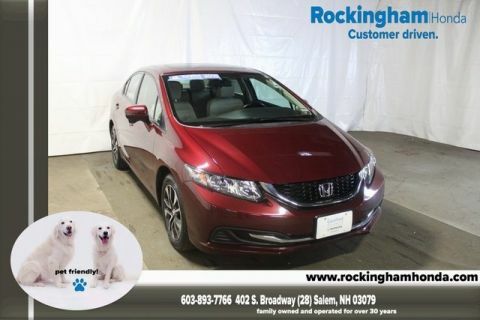 CARFAX One-Owner.FWD CVT 2.0L I4 DOHC 16V i-VTEC Factory Certified Pre-Owned Vehicle !, Bought Here, Serviced Here, We Have All The Records!, Certified By Carfax - No Accidents and One Owner!, Moonroof, Rear View Back-Up Camera, Bluetooth Hands Free Calling, Fully Serviced To Current Date And Mileage, Black Cloth, 4-Wheel Disc Brakes, 8 Speakers, ABS brakes, Alloy wheels, AM/FM radio, Automatic temperature control, Brake assist, Cloth Seat Trim, Electronic Stability Control, Exterior Parking Camera Rear, Four wheel independent suspension, Fully automatic headlights, Power moonroof, Radio data system, Radio: 180-Watt AM/FM/HD/SiriusXM Audio System, Remote keyless entry, Security system, Speed-sensing steering, Steering wheel mounted audio controls, Traction control.Odometer is 14968 miles below market average! 31/40 City/Highway MPGCertification Program Details: 101 Multi-Point Safety Inspection. 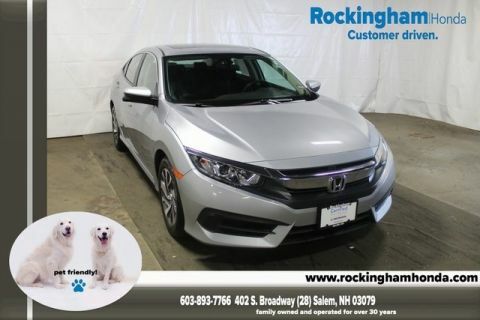 1 Year/12,000 Mile Limited Engine/Power-Train Warranty Awards:* 2017 IIHS Top Safety Pick (When equipped with Honda Sensing) * 2017 KBB.com 10 Most Awarded Brands * 2017 KBB.com Brand Image Awards2016 Kelley Blue Book Brand Image Awards are based on the Brand Watch(tm) study from Kelley Blue Book Market Intelligence. Award calculated among non-luxury shoppers. For more information, visit www.kbb.com. Kelley Blue Book is a registered trademark of Kelley Blue Book Co., Inc.
Emmett Horgan and a small team of dedicated employees opened Rockingham in 1985. Rockingham is a family owned and operated dealership with Emmett’s son Ryan Horgan now involved in the day to day operations. Exceptional customer care is what their loyal following has experienced for over 30 years and with the Rockingham motto, “Customer Driven”, can expect for many years to come. 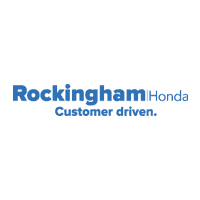 Rockingham offers a large new vehicle inventory, pre-owned vehicle inventory, rotating lease offers, monthly Genuine Honda Parts specials, and service specials in their state of the art Honda service department. Rockingham is committed to serving the Community by supporting local organizations such as the Salem Boys and Girls Club and SARL (Salem Animal Rescue League). 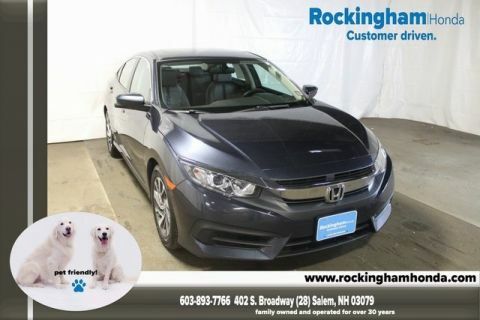 You will see furry members of the Horgan family walking or lounging around the dealership as well as the occasional Rockingham Employee bringing their own pups into work for the day. 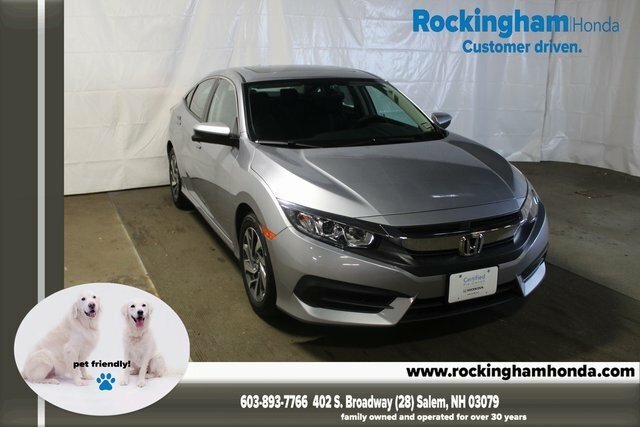 Rockingham welcomes guests to bring their own furry friend by when visiting the dealership.